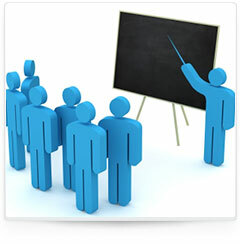 MBC Solutions is also equipped to meet all your training needs. Our knowledgeable staff would be happy to take the time and show you how to be more effective with your existing system or new systems. We pride ourselves in taking the tech talk out of training; all of our techs are able to put everything in plain understandable terms in order to make the learning process pleasant and productive. We offer software, hardware and peripheral training and would be glad to come up with a custom lesson plan just for you. Don’t get sucked into a canned class that only teaches the general concepts; MBC Solutions listens to your needs and teaches you all items which will benefit you and your daily work. So whether you need some 1-on-1 accounting software training or have a group in need of Excel fundamentals (or anything in between), MBC Solutions is here to help.